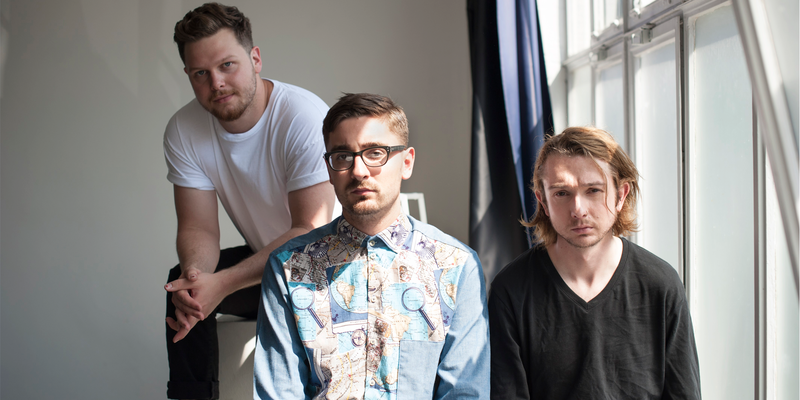 ALT-J have revealed their hypnotic new song ADELINE. The band say the track, “Is set in Australia, where a Tasmanian devil falls in love with a woman as he watches her swim. It was written on tour and finished with strings at Abbey Road”. ADELINE follows the singles 3WW and IN COLD BLOOD, offering a further glimpse to what will come on their forthcoming third album, RELAXER. The album will be available from 2 June via Infectious Music on CD, heavyweight vinyl, cassette and digital formats. All three songs are available to stream and download as instant grats now. ALT-J – one of the most successful British bands of the millennium – are JOE NEWMAN, THOM GREEN and GUS UNGER-HAMILTON. RELAXER follows THIS IS ALL YOURS, their #1 second album from 2014, and their Mercury Prize and Ivor Novello Award-winning debut album AN AWESOME WAVE from 2012. Between them, the two records have sold in excess of two million copies and their songs have been streamed more than one billion times. The band have headlined festivals across the globe and sold out London O2 Arena and New York’s legendary Madison Square Garden on their last tour. Last month they announced a return to the O2 Arena for a special show on Friday 16 June as part of the venue’s 10th birthday celebrations. Limited tickets for the show are still available. A number of festival shows are now also confirmed for the summer throughout Europe and the UK, including Glastonbury and headline performances at Blue Dot and Boardmasters, with more to be announced soon; see http://www.altjband.com/ for further information and announcements.